GOLD'S GYM PHILOSOPHY AND PROMISE: We believe an investment in your health is the best investment you'll make in your lifetime, and there's no better place to make that investment than Gold's Gym. Unlike other gyms in Amarillo, our trainers are employees of the gym, and they are nationally certified and many have degrees in exercise physiology or related studies. When you join Gold's Gym, you receive a training session with your very own personal trainer who will help you get familiar with the gym and set you up on your own cardio and strength workout program based on your fitness goals. Others promise magic. Gold's Gym promises something real - RESULTS! And finally, we provide our new members an unconditional, 30-day, 100%, money back guarantee. If you are unhappy with your membership for whatever reason in your first 30 days as a member, you can cancel and we'll refund every penny you paid. We won't even charge you for the 30 days. That's how confident we are that you're going to like us. 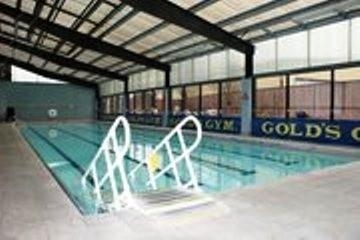 GOLD'S FACILITY AND EQUIPMENT: The facility and equipment at Gold's Gym are second to none. Several of our staff attend the world's largest fitness equipment trade show every year and Gold's Gym will always have the newest and best exercise equipment the industry has to offer. 6,700 SQUARE FOOT WEIGHT ROOM - Hammer Strength, Free Motion, Cybex, & Precor represent the best equipment manufacturers in the U.S. and you'll find all at Gold's Gym. Our weight room is equipped with the biggest and best variety of free weights and most innovative weight machines on the market. TWO CARDIO THEATERS - Gold's Gym has not one, but two cardio areas with so many treadmills, crosstrainers, ellipticals, stairclimbers and other state-of-the-art equipment that your heart will start beating faster just looking at it. Both areas are equipped with cardio-theater, providing multiple TV and radio stations for your entertainment while you work out. INDOOR JR. OLYMPIC POOL - Whether you enjoy swimming laps or participating in one of our award-winning water classes taught by master certified water instructors, you'll love the fitness pool at Gold's Gym! 5 RACQUETBALL COURTS - Racquetball has been a part of Gold's Gym since it opened in 1980 and we are proud to be the home of Amarillo's best players. 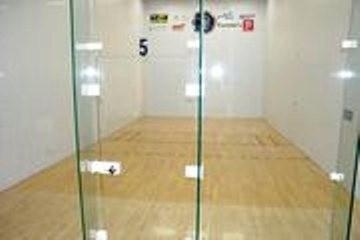 Four of our five racquetball courts have full glass backs for viewing. One of our courts is equipped for basketball and all courts are equipped for wallyball. 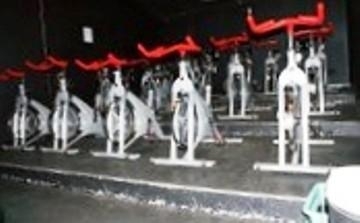 GROUP EXERCISE & CYCLING STUDIOS - Our 3,000 square foot group exercise studio is unique not only because of our special flooring, sound system and temperature controlled environment, but because of the over 40 classes per week including Body Pump, Body Step, Zumba, Yoga & Pilates, all taught by certified instructors. And if cycling is your thing, you'll love our cycling classes. Our group exercise program is a nationally recognized and award-winning program. Check our class schedule on this website. LADY GOLD'S - Women represent over half the membership at Gold's Gym, and that is partly because we take special care of our ladies. 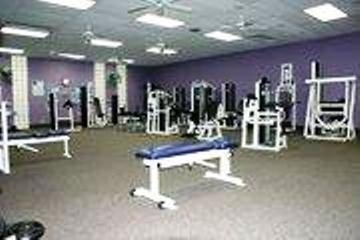 Our Lady Gold's is equipped with the best Life Fitness weight machines, free weights, and cardio equipment, and it is for women only. NURSERY - You can enjoy your workout while your kids, infant to age 7, are having lots of fun in our playroom. Our Blackburn location offers an outdoor playground. Our staff loves kids and it shows. LOCKER ROOMS - Our men's and women's locker rooms are very spacious with plenty of available lockers, showers and restroom facilities, and both gyms offer a sauna in each locker room. 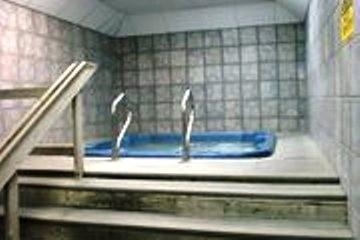 Our Blackburn location also has whirlpool and steamroom in each locker room. FREE WIFI - We know how important it is to "keep in touch." That is why we offer our members Free High Speed Wireless Internet Access. Just ask the front desk for your password to log on! MEMBERSHIP INFORMATION: Don't want to sign a contract? No problem. You are not required to sign a contract. If you need to cancel your membership, all that's necessary is to give us a 30-day notice. Don't want to pay an enrollment or activation fee or additional annual fees? Again, no problem. At Gold's Gym, we make it as easy to join as possible. We have options with no enrollment fee, no activation fee and no additional annual fees...zero, none, nothing, nada! Don't be FOOLED by the planet's cheapest gym. 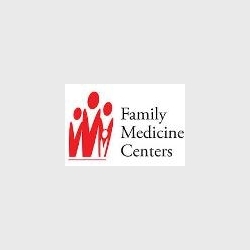 They hit you with enrollment and/or activation fees, plus annual fees in addition to their monthly dues, AND they require that you sign a long-term contract, and don't even offer programs such as childcare and group exercise classes. At our gym in Puckett Plaza, you can pay $9.99 per month and childcare is available for an extra charge and group exercise classes are included. But just like the planet's cheapest gyms, there is a $59 enrollment fee plus an annual fee of $39. No, we don't have tanning beds, and we don't serve pizza on Friday nights. We're all about serious fitness and making healthy choices at Gold's Gym. At Gold's Gym we take your risk of joining away. We offer our new members an unconditional, 30-day, 100%, money back guarantee. If you are unhappy with your membership for whatever reason in your first 30 days as a member, you can cancel and we'll refund every penny you paid. We won't even charge you for the 30 days. That's how confident we are that you're going to like us. 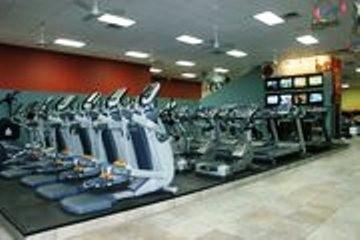 We encourage you to look at all your options before joining the gym. You'll find no high pressure sales here. 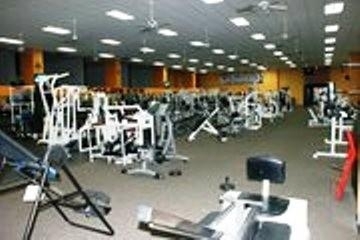 We want you to pick the best gym for you. Come to Gold's and allow one of our membership consultants to show you around the gym, find out a little about you and your fitness goals, and then go over all your membership options at Gold's Gym. PERSONAL TRAINING: Personal Training is a no-nonsense & efficient approach to quickly and safely obtain your fitness goals under the direct supervision of a qualified fitness professional. Unlike other gyms in Amarillo, our trainers are employees of the gym, with the common goal of serving only Gold's Gym members. All our trainers are nationally certified and several have a degree in Exercise Physiology or other related study. Your Gold's Gym personal trainer will keep you motivated and keep your workout routine fresh to help increase your fitness success and break through those plateaus. You will learn the correct way to use equipment and proper form to prevent injury. All new members receive a free training session with one of our certified personal trainers. For current personal training fees and special offers, contact the gym. Want more from your Gym? CHECK THESE OUT! 7 DAY PASS: Come try us out before joining? We'll show you around, find out a little about your goals and issue you a temporary membership scan card so that you can start your journey to fitness. You must be over 18 with a valid driver's license showing an Amarillo address and a bank account to qualify for our FREE 7-Day VIP Membership. For your free 7 Day Pass, visit our websites or call Gold's Gym on Blackburn 806-359-5438 or Gold's Gym Puckett 806-356-0933, Puckett website-www.goldsgym.com/gyms/texas/amarillo/1045 BOOT CAMP CHALLENGE: Boot Camp Challenge is a group personal training program that guarantees results and attracts anyone looking to shape up, change their body or just challenge their fitness level! Boot Camp Challenge incorporates all the tools needed for success; nutritional guidance, exercise instruction and motivation! If you are up for the challenge, Boot Camp Challenge is for you. Hoo-Aah! Please contact Lisa at (806) 433-5406 or lisa@goldsama.com for more information. ONLINE NUTRITION PROGRAM: Our Gold's Gym Online Nutrition Program takes a radical new approach. We work with you like your own private nutritionist to help you create completely balanced diets using your favorite foods. For a free 14 day trial, contact us at nutrition@goldsama.com. SIZZLIN SNEAKERS: The Sizzlin Sneakers are group of Gold's Gym Members who have been enjoying life and fitness together for more than ten years. With ages ranging from 45 to 91, the Sizzlin Sneakers are the prime example that you are never too old to be healthy and enjoy fitness. Whether they are participating in water classes, totally tone or working out on the weight floor, the Sizzlin Sneakers are a great support group and always welcome new members. If you think this is just a work out group, guess again. The Sizzlin Sneakers are involved in charity work, fitness demos, health fairs and have monthly outings to restaurants and movies. If you are interested in joining the Sizzlin Sneakers contact Kim Lane at 359-5438. 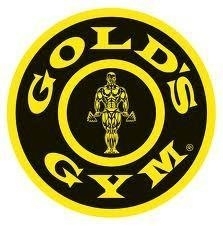 GOLD'S GYM - There's Nothing Else Like it in Amarillo! I like the fact that Gold's is open late and I can take my little ones to the Kids Club.